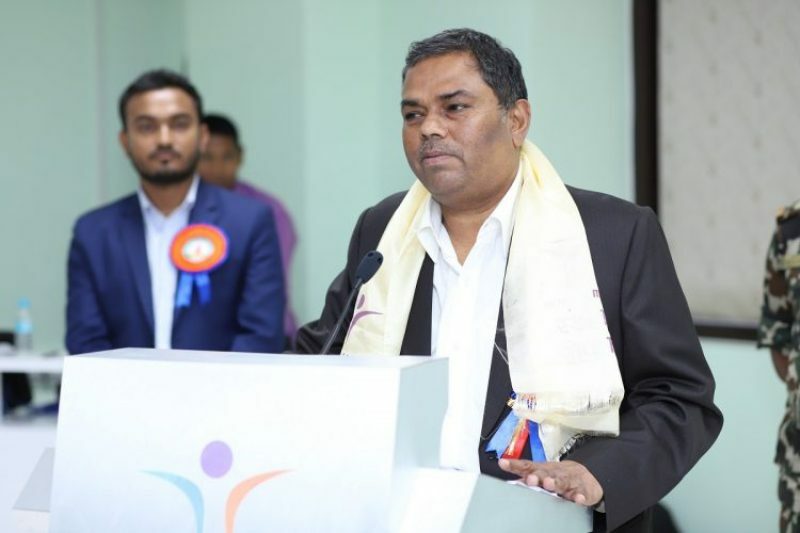 Lahan– Deputy Prime Minister and Minister for Health, Upendra Yadav, made an inspection of the Ram Prasad Uma Memorial Hospital in Lahan this morning. DPM and Health Minister Yadav, who reached the hospital at 8 am, gave instructions to the hospital management after observing the facility. On the occasion he announced that the hospital would be upgraded into a well-equipped ‘secondary level’ hospital. Pledging to immediately provide the specialist doctors, skilled human resources and equipments which the hospital lacks, the Health Minister shared that from now on the hospitals would be classified on the basis of the ‘level’ and not the number of beds. He said that the hospitals would be categorized into ‘Primary’, ‘Secondary’ and ‘Tertiary’ level and the existing hospitals expanded accordingly. THE DPM and Health Minister directed the hospital management to remove the shortcomings at the hospital and improve its services so that people can get reliable and quality health services. Hospital medical superintendent Dr Sunil Kumar Kushwaha briefed DPM Yadav about the condition and the human resource strength at the hospital. Also this morning DPM and Health Minister Yadav inspected the plot of land at Lahan Municipality-3 where a children’s hospital is going to be constructed.